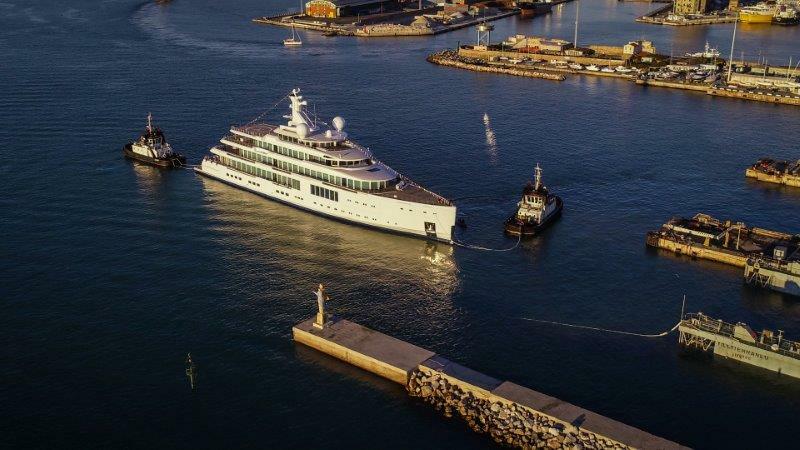 The second of the three giga yachts scheduled for launch this year, touched the water yesterday in Livorno, writing another important chapter in the history of the Italian shipyard, and thus demonstrating its jaw-dropping new giga yacht building capabilities. FB272 is a steel yacht with aluminium superstructure built to comply with the PYC (Passenger Yacht Code) with a significant contribution of the owner to the conception and development of the specification, general arrangement and exterior design at the outset of the build. FB272 has been built to the unique taste of a very experienced owner in luxury yachts who has from the start of the project made available the Burgess Technical Services team, a full time, highly skilled and dedicated technical and project management team which has brought its significant experience and expertise in luxury yachts to the project. 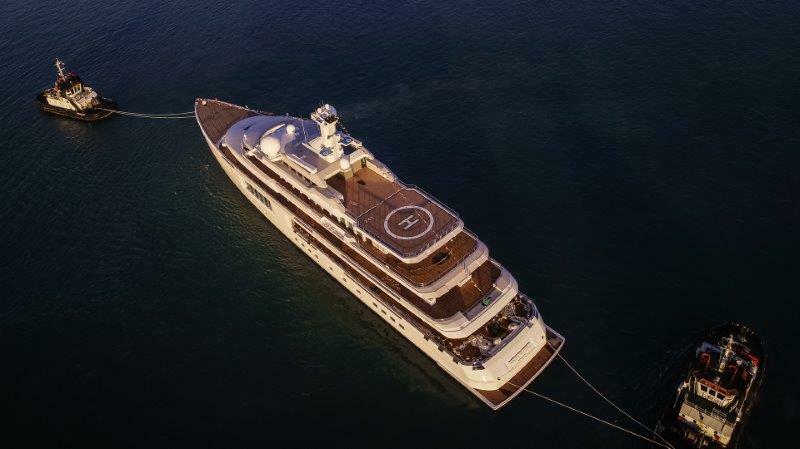 The exterior design, initially developed with Hugo van Wieringen from Azure Naval Architects and then with the assistance of Reymond Langton Design and Zaniz Jakubowski of Zaniz Interiors, was refined post contract with the assistance of designer Giorgio M. Cassetta, supporting Zaniz Interiors who took over responsibility for both the exterior and interior design of the yacht. 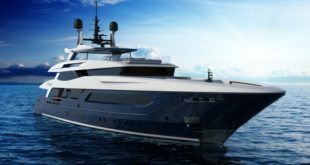 FB272 is impressively high and massive to offer a new sense of proportion and demonstrates the huge scope of imagination and build capacity at the Italian shipyard. She features an advanced Lutron domotic system – approximately 500 kilometres of cable run across her hull and superstructure. Despite this hi-tech soul, she provides masses of connection with the outside world: the huge windows with 3 meters height offer an incredibly extensive glazing which floods the interior with light, thanks to an outstanding surface of 800 square meters of window glass.